My previous blog titled When Drones Deliver Your Prescription Medications had briefly touched upon on how modern day technology (e.g. drones!) is enabling fast and reliable service for today’s consumers. Just recently, I started to rack my brain on when this high tech boom really started to take off. I suddenly remembered the introduction of the Apple iPod. The iPod completely transformed the way customers store, access and interact with their music. 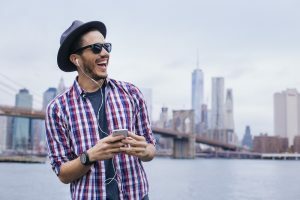 Instead of a bunch of plastic discs (aka CDs) piling up in the corner of your living room, consumers could simply search, purchase and download their music into their iTunes library. Today, the iPod has predominantly been replaced by the iPhone in most instances. Regardless of the storage device, the iTunes library has still persevered and provides a convenient repository for accessing all things musical. In my previously referenced blog, I also discussed how the U.S. Pharmacopeial Convention (USP) launched the Monograph Modernization Initiative in 2011. 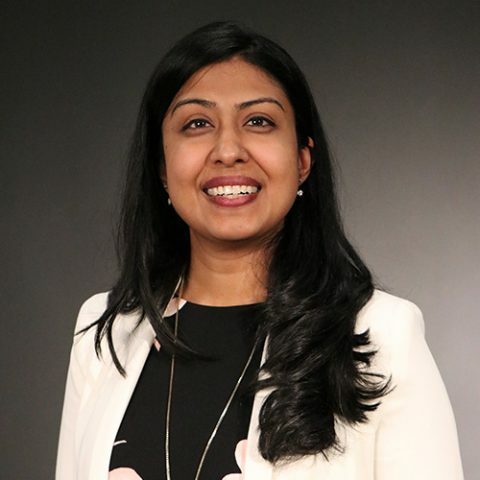 This initiative will ensure that more modern assays are approved for the analysis of pharmaceuticals vs. older assays which use classical, wet chemistry procedures. Ion Chromatography is an allowable technique by the USP specifically for the analysis of counterion determinations, measuring excipients in drug products, performing impurity analysis and assays of drug substances. The good news is that Thermo Fisher Scientific has developed application methods for pharmaceutical analysis that can be accessed in the Thermo Scientific AppsLab library of Analytical Applications. AppsLab Library is basically an online repository of searchable chromatography methods for multiple industries including the pharmaceutical industry. Why is that such a big deal? Think iTunes again. 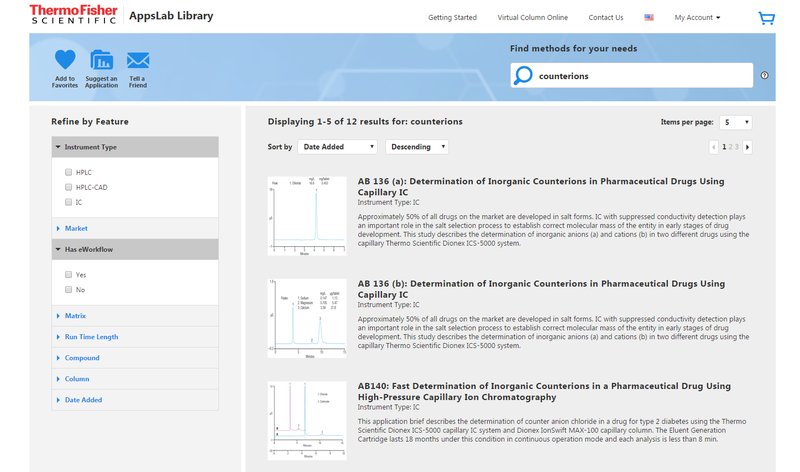 For those who are new to using ion chromatography for pharmaceutical assays, the AppsLab Library is a highly convenient tool to search, access and download IC (in addition to HPLC, GC, etc) methods of interest. Below is a snapshot that shows the top 3 results that were generated by simply typing counterions into the search tool bar. You can further refine your search by using different parameters including matrix, type of column (manufacturer, model, length, dimension, etc). To learn more about how users can optimize your search experience, check out this handy product spotlight reference. As more USP monographs are modernized to allow instrument-based methods like ion chromatography, it only makes sense to use a modern day, online repository to search for relevant instrument methods. How much more flexibility can one ask for if they can pull these methods from the comfort of their smartphone, desktop or tablet to access all things pharmaceutical?